PITTSBURGH—Carnegie Mellon University has launched a new Institute for Strategic Analysis (CMU-ISA) to provide a focal point for the university's ongoing consultations with senior U.S. defense, intelligence and diplomatic officials. The CMU-ISA will tap expertise from across the university, but with particular emphasis on researchers in computer science, cybersecurity, decision science and international relations. Carnegie Mellon's unique combination of strengths in those areas has proven valuable to senior government officials faced with issues concerning communications, computation, and command and control. "Carnegie Mellon isn't entering into policy debates, but providing information on the basic science that underlies policy and determines what is possible and what is not," said Kiron Skinner, associate professor of social and decision sciences and director of CMU's Center for International Relations and Politics. "National security officials have become regular visitors to Carnegie Mellon because they appreciate the quality of our researchers and our ability to work across disciplines to solve complex, real-world problems," she added. Skinner will direct the CMU-ISA, which is a joint effort of the School of Computer Science, the Dietrich College of Humanities and Social Sciences and the College of Engineering. Randal E. Bryant, dean of the School of Computer Science, said officials seek out Carnegie Mellon for input on the security of computer systems, as well as robotics, machine learning, natural language processing, human-computer interaction and Big Data. "They consistently are interested in learning how to help people effectively make decisions," Bryant said. "Decision science is not a research subject that is all that common and it happens to be a particular strength here." The CMU-ISA will not be a center for research and will not grant any degrees. Rather, it will serve as an umbrella organization that will facilitate strategic initiatives, arranging visits and keeping government officials aware of relevant research activities at the university. Through activities such as its "Grand Strategy" lecture series, the institute also will work to make faculty members better aware of strategic needs and issues. Skinner said she anticipates that the CMU-ISA will organize short courses of one-to-two weeks for defense and intelligence organizations on subjects that require expertise from multiple colleges. It also will host military and diplomatic fellows who typically might stay at the university for an academic year to immerse themselves in a subject; for instance, three Navy officers recently completed fellowships in cybersecurity at CMU. Bryant and his fellow deans from the Dietrich College and the College of Engineering will oversee the institute. Its core faculty members are Jaime Carbonell, the Allen Newell University Professor of Computer Science and director of the Language Technologies Institute; Baruch Fischhoff, the Howard Heinz University Professor of Social and Decision Sciences and Engineering and Public Policy; and Virgil Gligor, co-director of Carnegie Mellon CyLab and professor of electrical and computer engineering. Arlane Gordon-Bray, a May 2013 graduate of the Heinz College's Master of Science in Public Policy and Management program, is the institute's executive director. 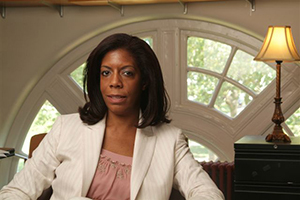 Directed by CMU's Kiron Skinner (pictured above), the CMU-ISA will tap expertise from across the university with particular emphasis on researchers in computer science, cybersecurity, decision science and international relations.